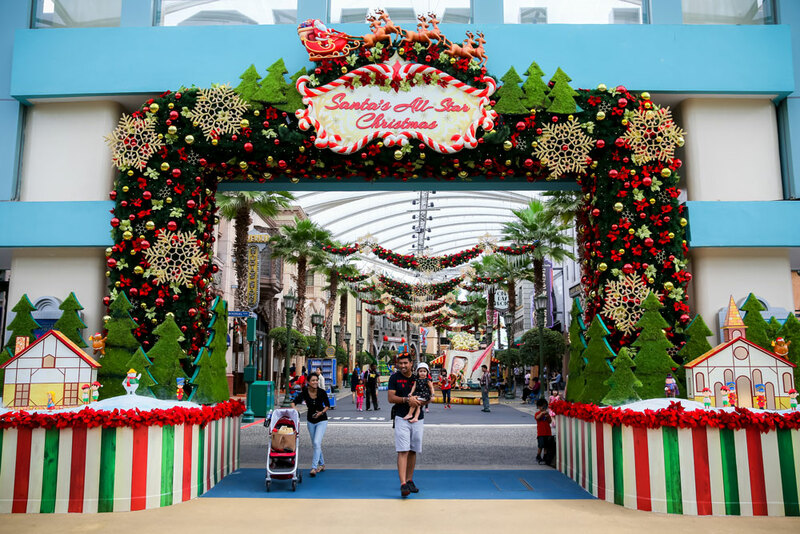 There are so many things to do already at Universal Studios Singapore and with the Christmas Event layered over it – it can get quite overwhelming planning your day out at USS. At least that’s what I felt as I tried to catch up with some of the exciting rides and yet trying not to miss key Santa’s All-Star Christmas performances. 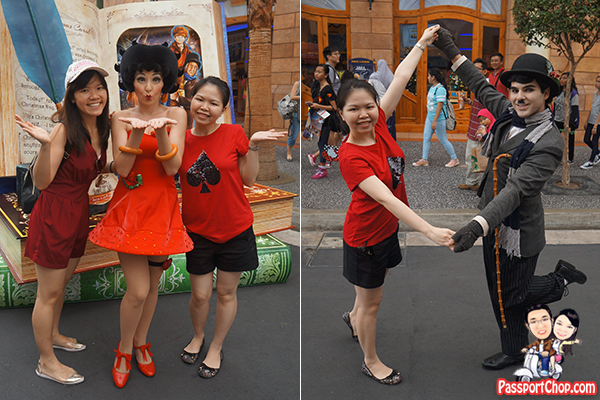 I will share with you my suggested “itinerary” for a fun day at Universal Studios Singapore below. 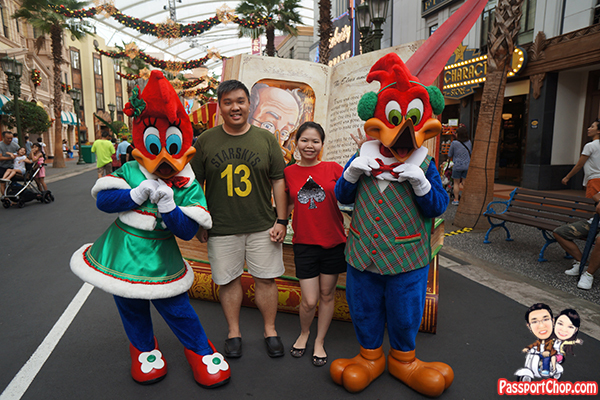 Do note that some of the timings below might be different depending on when you go to Universal Studios Singapore – refer to the USS schedule for the latest timings. 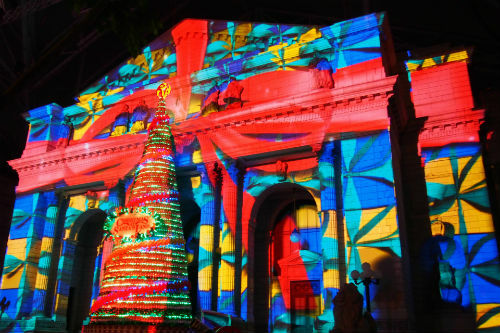 Do also note that during this period (til 3 Jan 2016), Universal Studios Singapore will be opened a bit longer, opening as usual at 10am but closing much later at 9pm (except on 31 December when the Christmas programme will end at 7pm to get ready for the New Year’s Eve celebration) so you will have even more time to enjoy all the park has to offer. Most of the USS Santa’s All Star Christmas Event will be held in the evenings so during the day, have fun at the USS rides and regular shows e.g. Waterworld. Also take this opportunity to take photos with your favorite USS characters who will be decked out in a once-a-year Christmas clothes. There are regularly scheduled Character Meet and Greets – refer to the daily USS schedule for more details. 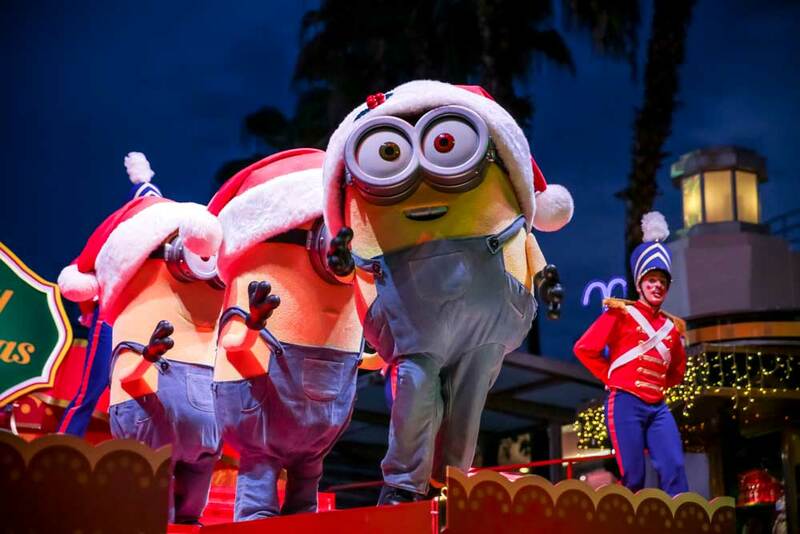 The Minions from Despicable Me are the hottest character meet and greet so be there early (at least 10 minutes) to start queuing to take photos with them – there is a limit to the number of USS guests who can take photos with them. 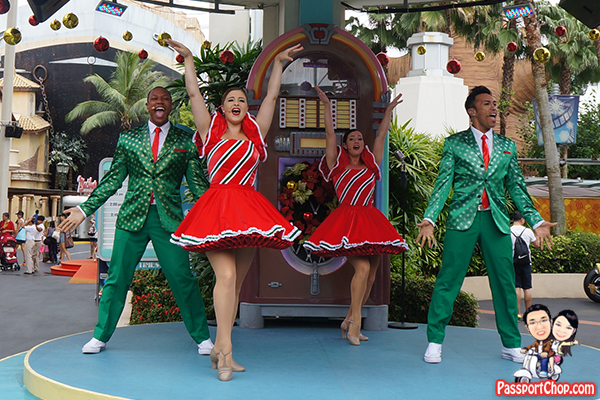 Only during Christmas, you will get to see the Cruisers and Dinettes performing together for the Mels Rocking Christmas performance – enjoy this high energy song and dance performance at Hollywood near the diner restaurant (12.15pm; 2pm; 3.45pm) – I suggest catching the 2pm show after your lunch and morning of fun at the USS rides. 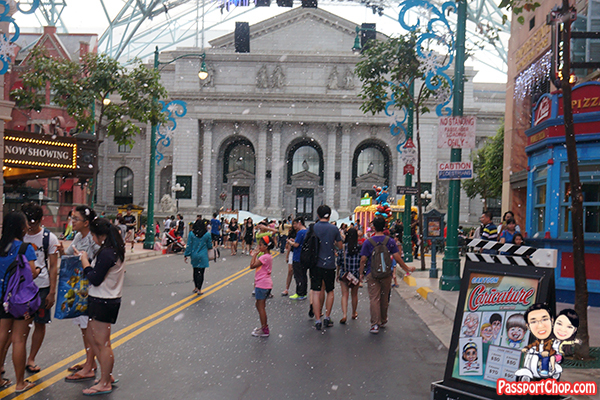 Every hour (from 12 noon), you can enjoy snowfall along Hollywood Boulevard and New York. The snow is more like foam droplets – if you want to experience a lot more “snowfall”, go to New York. Snowfall at New York is hourly from 12 noon to 6.30pm. 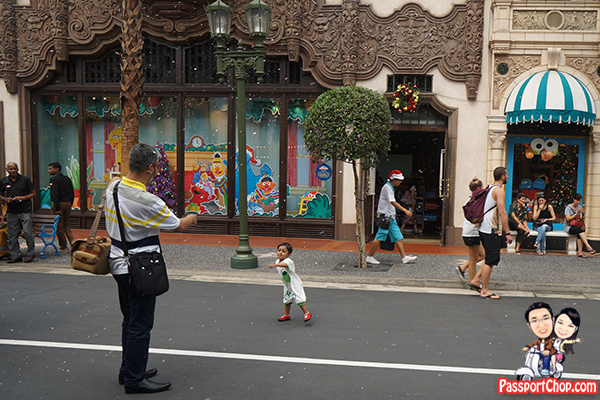 Snowfall at the Hollywood Boulevard is hourly from 12 noon to 8pm. 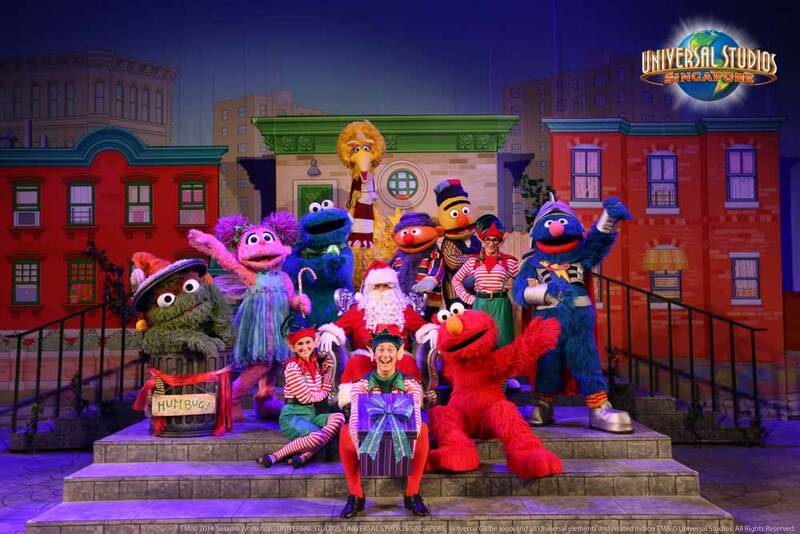 We caught the“Sesame Street Saves Christmas Show” during 2013 Universal Studios Singapore Christmas celebrations – it was performed at New York (in Universal Studios Singapore). We absolutely loved it – not surprising since the show won Overall Best Production at 2014 IAAPA Brass Ring Award Winner, Live Entertainment Excellence. Now, you can catch the show in the comfort of the Pantages Hollywood Theater at 11.45am/2.45pm/5.40pm/7.40pm (Arrive 15 minutes before scheduled show times). The plot of the performance: Rudolph the Red Nosed Reindeer has fallen sick after shooting a movie and the fate of Christmas now rests on the Sesame Street friends! 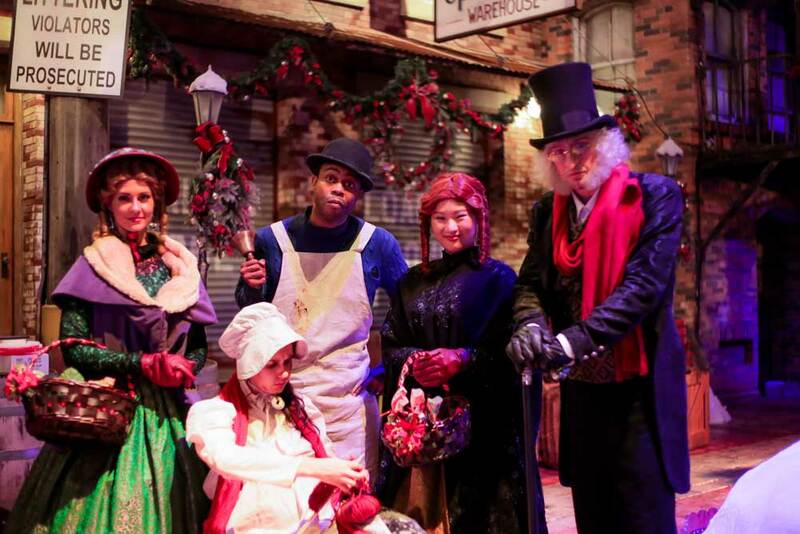 Just for this Santa’s All Star Christmas event, Sting Alley will be transformed into a Victorian Christmas scene right out of 19th Century England. You can interact with Scrooge (or get snarled at by him! ), his neighbours and the Christmas carollers at Sting Alley. This is a new performance introduced this year! You get to interact with Scrooge at regular intervals between 5pm to 9pm. 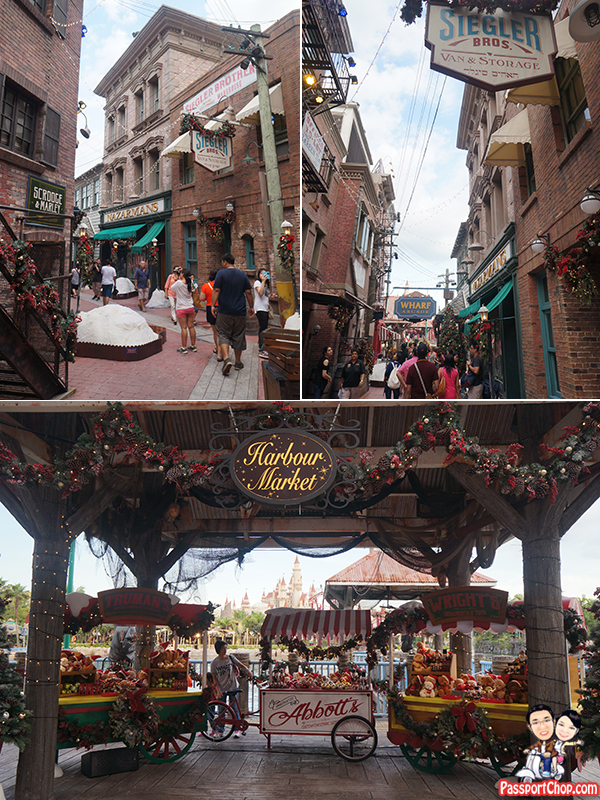 Even when Scrooge is not around – you can still explore Sting Alley which is beautifully decked out in Christmas decorations. 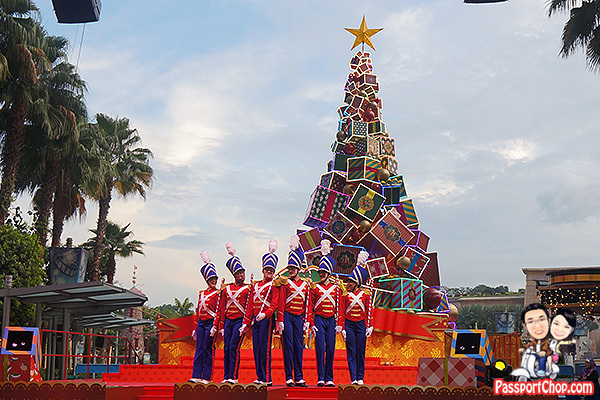 Twice daily at 6.45pm and 9.05pm, you get to check out the Penguins of Madagascar, King Julien, Marilyn Monroe and the Minions performing alongside the Toy Soldiers in a show where they embark on a gifting journey. This will be held at the Lagoon Stage in the Hollywood zone. The space in front of the Lagoon stage will be packed with people 15 minutes before the performance – just a tip for you: hang around the cordon rope that USS staff use to cordon off a path for the Toy Soldiers to march onto the stage – once they get onto the stage, the cordoned off area will be available for you to sit. Set to the tunes of familiar Christmas carols, the light show projected on the façade of the New York Public Library tells a tale of a wintry Christmas. 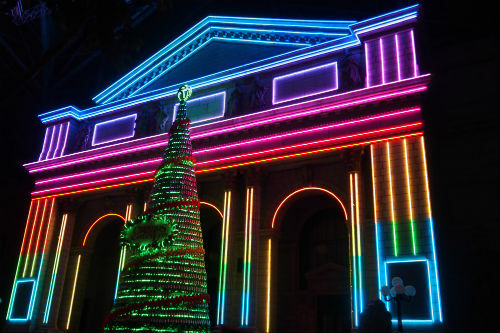 Witness a dazzling array of colorful lights projected on the New York Public Library that ‘dance’ to groovelicious music. Go early to the area in front of the New York Public Library to chope your seat/space for the performance. Twice daily at 7.13pm and 8.23pm. 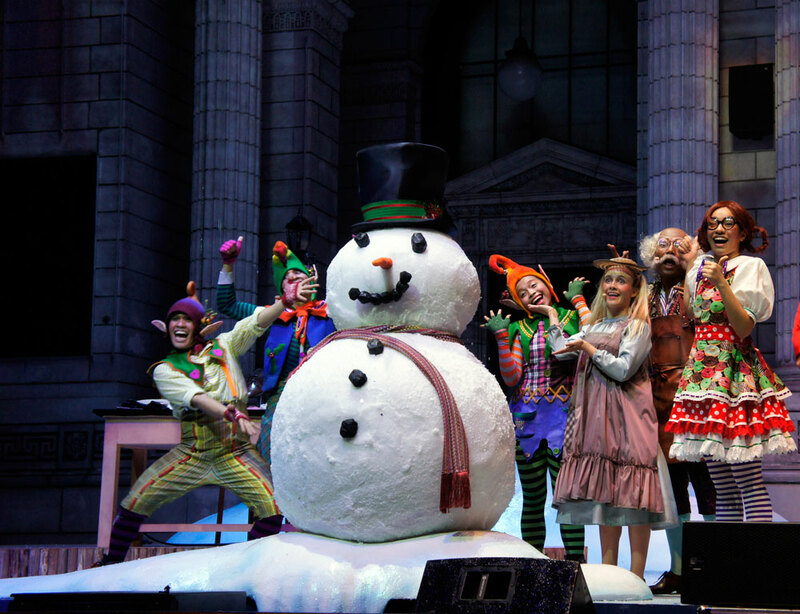 A unique fairytale told through song and dance by our very own All-Star cast, including Santa Claus, Frosty The Snowman, Snow Queen, The Gingerbread Man, The Elves and the Shoemaker, Scrooge, The Little Match Girl and the Toy Soldiers. Also at the New York Public Library twice every evening at 7.20pm and 8.30pm right after the Winter Tales and Dancing Christmas Light Show. 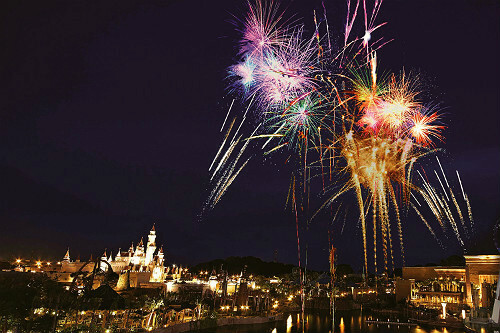 From 19 to 29 December 2015, you get to experience spectacular Christmas Fireworks over Hollywood Lake at 9pm – you can expect a dazzling fireworks display set to a festive score – a perfect way to end the fun day out at Universal Studios Singapre with a festive musical score and pyrotechnics. 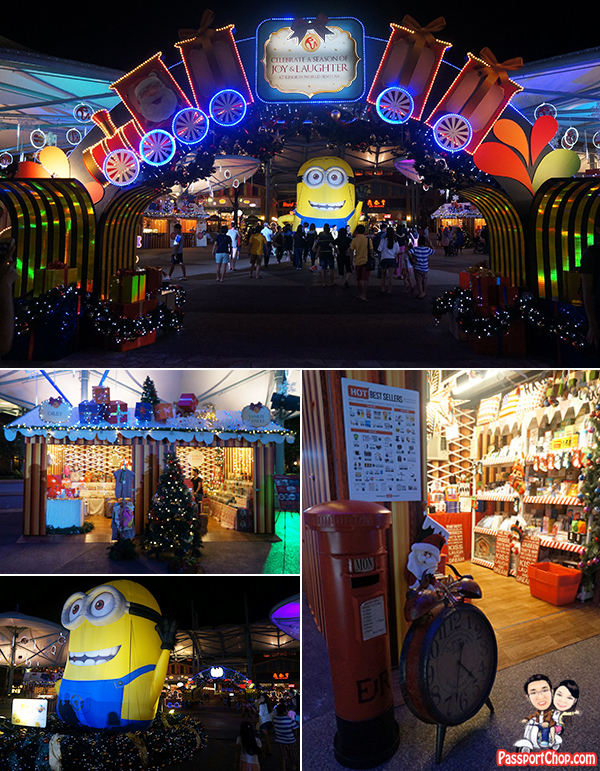 Experience the European tradition of winter markets in Singapore with 10 stalls setup by Resorts World Sentosa (until 3 Jan 2016) – these stalls are spruced up with eye-catching decorations and jam-packed with Christmas gift ideas and tasty festive treats. 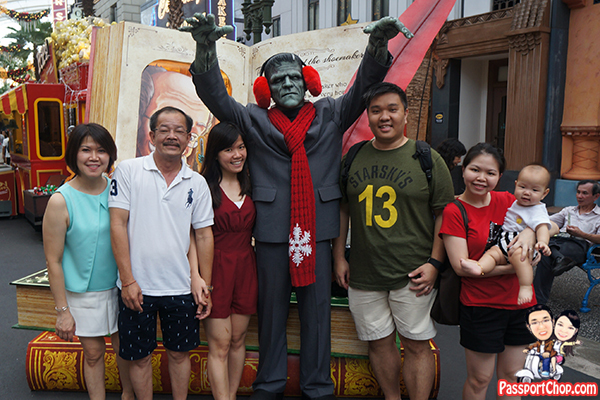 You can enjoy a unique retail experience that is rich with Christmas ambience and memorable photo-ops! This post was brought to you by Universal Studios Singapore. Thanks for sharing! Really helpful!